This is a custom business logo design with 1,000 high quality matching business cards printed and shipped to you within 7 days. FREE business card design - FREE shipping. ✔ High resolution JPG of the logo. ✔ High resolution PNG of the logo with transparent background. ✔ FREE PSD Photoshop source file of the logo. ✔ 16 pt Premium Matte or Gloss finish. 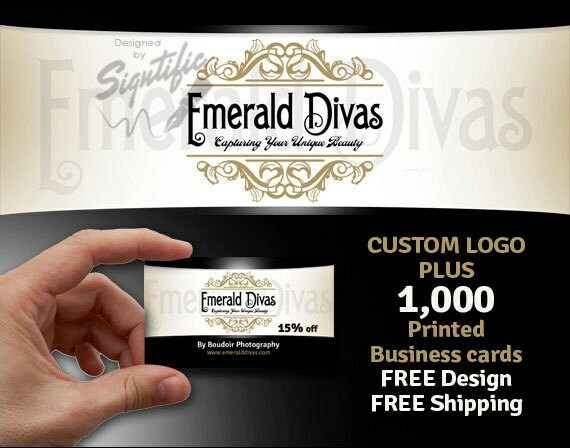 ** All the business branding packages that include business card printing are offered to US customers ONLY with free shipping, I do not offer international shipping at this time. Logo and 1000 Business Cards, FREE shipping, Business Startup Package, Custom Business Logo Design with Printed Business Cards.